• Member Toolbox - Recalls, safety notices, valuation tools, Drivers Ed In A Box and more! Just show your VIP Card or smart phone app and get the discounts the "Big Boys" get. myEZ Car Care savings on the above services average $484, before travel and vacation savings. myEZ Car Care VIP vacation, hotel and car rental discounts are some of our most popular discount benefits. Vacation discounts alone average over $100 each. Fulfillment and Refund Policy: Once you submit your information your membership will be activated and you will be able to access the Member Area where you will have access to all benefits including the Electronic Glove Box®, VIP Discounts and you can download the mobile app to your smart phone. If your plan includes Roadside Assistance, your Roadside Assistance benefits will begin in 5 business days. Your welcome kit with membership card will arrive in the mail within two weeks. Due to the immediacy of benefits and the timing of activation and mailing of member information, refunds are only allowed within 5 calendar days of purchase. 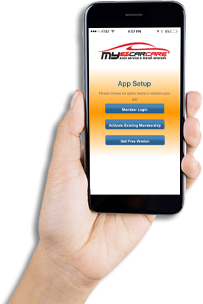 To request a refund email us at sales@myezcarcare.com or call 504-273-0098.